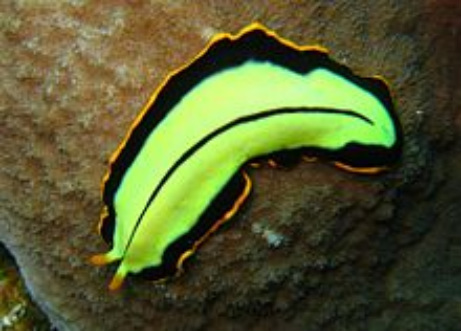 Platyhelminthesis, or flatworms, are soft bodied invertebrate animals. They dont have a body cavity or a specialized circulatory and respiratory organs, which restricts them to flattened shapes that allow oxygen and nutrients to pass through their bodies by diffusion. 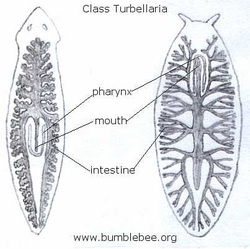 Turbellaria have about 4,500 species, they are mostly free-living, and range from 1 mm (0.039 in) to 600 mm (24 in) in length. Most are predators or scavengers, and they are mostly nocturnal and live in shaded, humid locations, such as leaf litter or rotting wood. The space between the skin and gut is filled with mesenchyme, a connective tissue that is made of cells and reinforced by collagen fibers that act as a type of skeleton, providing attachment points for muscles. They have an intricate digestive track. 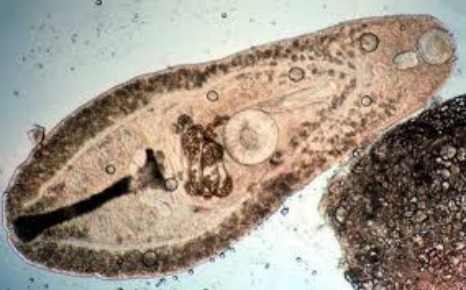 The Digeneans are a large group of parasites. There are about 6,000 species known . They all have complicated life cycles involving at least one secondary host, which is normally an aquatic snail as well as the primary host which is normally a vertebrate. Digeneans as adults are flat worm shaped parasites, they have two suckers. The first is the oral sucker, around the mouth, this has two functions, to hold the animal to its host and assisting in feeding. The second sucker is found a little way further down the animals body and it has only a single function, attachment. Their flexible bodies allow them to attach easily to their hosts. their lack of a skeleton allows them to attach to their hosts. Cestoda is what we know as the tapeworm. Its members live in the digestive tract of vertebrates as adults, and often in the bodies of various animals as young . Over a thousand species have been identified, and all vertebrate species can be parasitised by at least one species of tapeworm. The body is composed of successive segments . The sum of the proglottids is called a strobila, which is thin, and resembles a strip of tape. From this is derived the common name of the tapeworm.